King of Cakes was created to bring a slice of Europe to the heart of Brisbane. Our shops are full to the brim with delicious sweet and savoury baked items, hand crafted by experienced bakers with a wealth of technical expertise and a love for artisanal European baking methods. Our vision was to take the art of baking back to its roots and to show Australia what authentic baking is all about. What’s more, we wanted to make it convenient for our customers to access delicious European flavours, which is why we set up our three shop locations and later added the convenience of online shopping. We’re here to make sure our customers get their European baking fix on demand or delivered to their door. Wolfgang Kelke, Master Pastry Chef, is the King of Cakes. His passion for culinary excellence has seen him work in some of the world’s finest restaurants and cake shops. Armed with a wealth of talent and experience, Wolfgang created King of Cakes to share the joy of traditional European baking methods with Brisbane residents. Nearly three decades on, King of Cakes now operates in three locations in Brisbane; Taringa, Clayfield and Seventeen Mile Rocks, serving thousands of satisfied customers every day. 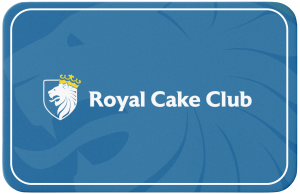 All King of Cakes stores use the same carefully crafted techniques and recipes under Wolfgang’s direction, ensuring the same standards of excellence in every store, every time. Don’t miss a thing from The King of Cakes. Sign up to receive exclusive offers, news and events direct to your inbox.